Abstract: The Airwheel S3 is a super scooter featuring its self-balanced gyroscope-controlled wheels. 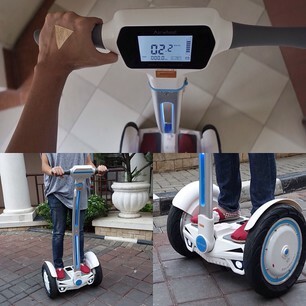 The S3 model is the first version of S-series in Airwheel family. As the first model of S-series, the Airwheel S3 self-balance unicycle is a revolution in self-balance scooter market. 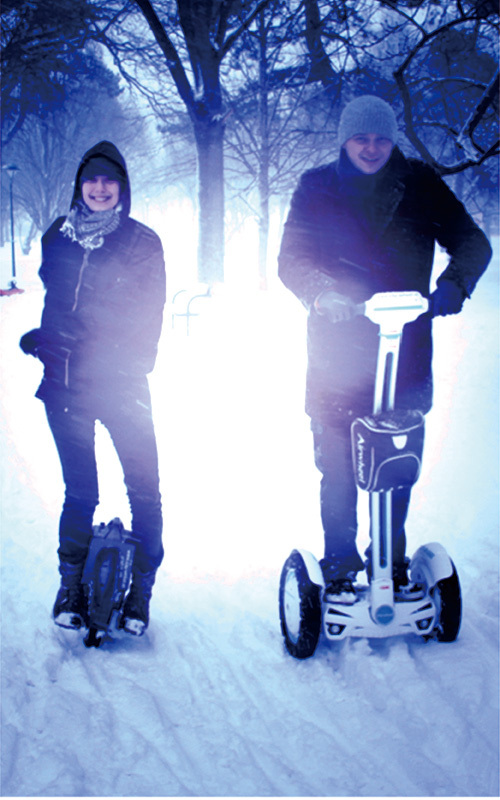 Unlike Airwheel’s other models of self-balance unicycles, the S-series features its platform and handlebar. It’s absolutely a fun and intelligent device that helps you get around. As low carbon lifestyle is advocated in urban districts, the Airwheel S3 can be the optimal choice and a new lifestyle for urban commuters. Compared to traditional transportation vehicles, the many distinguished advantages of Airwheel S3 can well meet the expectations of all ages. Apart from the eco-friendly feature, Airwheel S3 2-wheeled electric scooter is safe and easier to steer than ordinary bikes. Riders barely need any balancing skills to get the basics of it and can be proficient with just a few tries. The standing platform is wide enough for all users to comfortably stand on, with the handlebar at a comfortable height for all users. The S3 model can cover an unrivalled range of 36-40 miles on a single battery charge, and is easy to use for all! All you have to do is to hold on to the handlebar and lean in the direction you wish to go! The dual-wheeled S3, compared to single-wheeled units, is more stable and hence much easier to control. The anti-collision design at the back of handlebar minimizes potential impact caused by scratches and collisions (though it’s unlikely to fall from S3). In addition, the latest Airwheel S3 electric unicycle comes with fully sealed circuit boards. No matter in the rain or muddy terrains, just ride along without worrying about water leakage. It is worth noting that the Airwheel S3 has a removable handlebar, signal and brake lights, and it is also equipped with dual Bluetooth speakers which you can control remotely. Next：How does the Airwheel intelligent self-balancing scooter, S3 differ from other models?